ÖHLINS has moved away from its characteristic yellow and gold designs for the launch of its Blackline range of products for Harley-Davidson applications. 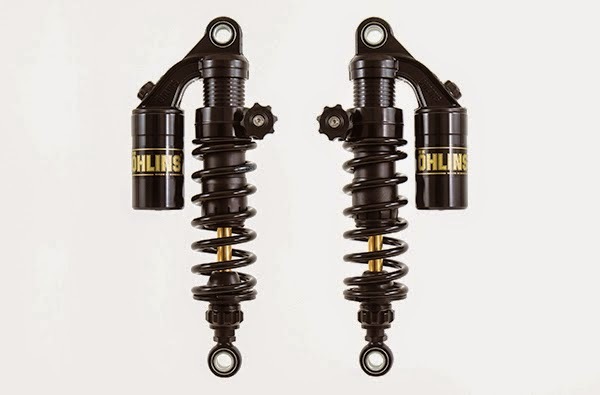 The new Öhlins Blackline shocks are available for H-D twin shock machines. Available in ‘dividing piston’ and piggyback versions, the shocks can be ordered with a number of different damping adjustment options, with or without length adjustment. leg, and compression damping in the other - maximising the damping that is available within the confined diameter of the fork legs. 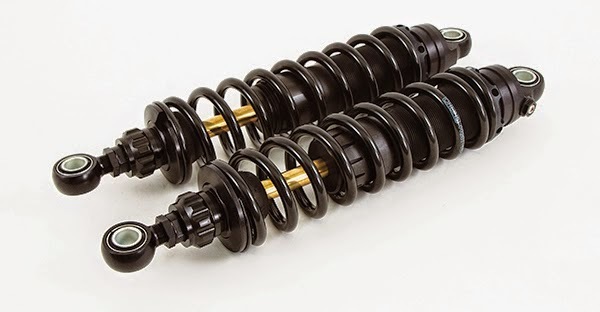 Robert Brinkmark, Öhlins Product Manager Motorcycles says, “Developing Öhlins shocks for the Harley-Davidson market has been an important focus for us and we are proud to launch the first of many products for Harley-Davidson bikes. The focus has been on riding comfort and high quality for these shocks to further improve the ride feeling. The new striking design is also a result of our increased focus for the custom market.